Delhi is a bustling metropolis, which successfully combines in its folds the ancient with modern. Its strategic location was the prime reasons why successive dynasties chose it as their seat of power. In fact, more mythological cities are believed to be here, like the city of Indraprastha from the Hindu epic Mahabharata, founded around 5000 BC. Numerous monuments were built over several centuries by different rulers like Qutub-ud-din Aibek, Alauddin Khilji, Tughlaks, Humayun & Shah Jahan, who built the Walled City Shah Jahanabad. Later in first half of 20th century much of New Delhi was planned by Sir Edwin Lutyens, who laid out a grandiose central administrative area as a testament to British rule in India. The division in walled city & New Delhi also marks the division in life styles. Overnight stay at New Delhi hotel. Today we take a guided tour of Old Delhi, the 17th century walled city of Shah Jahanabad, visiting the great Jama Masjid, the principal mosque of Old Delhi. Built in the year 1656 AD by the Mughal Emperor Shah Jahan, it is the largest and the best known mosque in India. Later we walk down or take a rickshaw ride through Chandni Chowk, the old marketplace of Shah Jahanabad now a picturesque bazaar to reach Red Fort, built in the year 1648 by Shah Jehan. In New Delhi, we visit Raj Ghat, memorial to the Father of the Nation, Mahatma Gandhi. It is a simple black marble platform that marks the spot of his cremation on 31 January 1948. Further we drive past India Gate, memorial built in the year 1931 to commemorate the Indian soldiers who died in the World War I & the Afghan Wars. The names of the soldiers who died in these wars are inscribed on the walls. We visit the President's House, built in the year 1931. Until 1950 it was known as Viceroy's House and served as the residence of the Governor-General of British India. We will also visit Humayun's Tomb, memorial of Mughal Emperor Humayun, built in the year 1562. The complex is a World Heritage Site & the first example of this type of Mughal architecture in India. Also visit Qutub Minar, built in 1206 by Qutub-ud-din Aibek. It is the tallest (72m) brick minaret in the world, an important example of Indo-Islamic Architecture. Qutub Minar & its monuments are listed as a UNESCO World Heritage Site. Overnight stay at New Delhi hotel. After breakfast drive to Jaipur, popularly known as Pink City, the flamboyant & colourful capital of Rajasthan. With its rich & colourful past, resplendent with tales of valour & bravery, it is now one of the most important heritage cities in India. The city was founded in the year 1728 by Maharaja Sawai Jai Singh II, the ruler of Amber. It remains the only city in the world symbolizing the nine divisions of the universe, through nine rectangular sectors. Later we visit the City Palace, a perfect blend of Rajasthani & Mughal architecture. The center of the palace is a seven-storied building called Chandra Palace, with fine views over the gardens & the city. Further we visit Jantar Mantar (Solar Observatory), an astronomical treasure house, with solar devices that give accurate predictions till date. We also visit Hawa Mahal (Palace of Winds), a five-storied structure of pink sandstone. 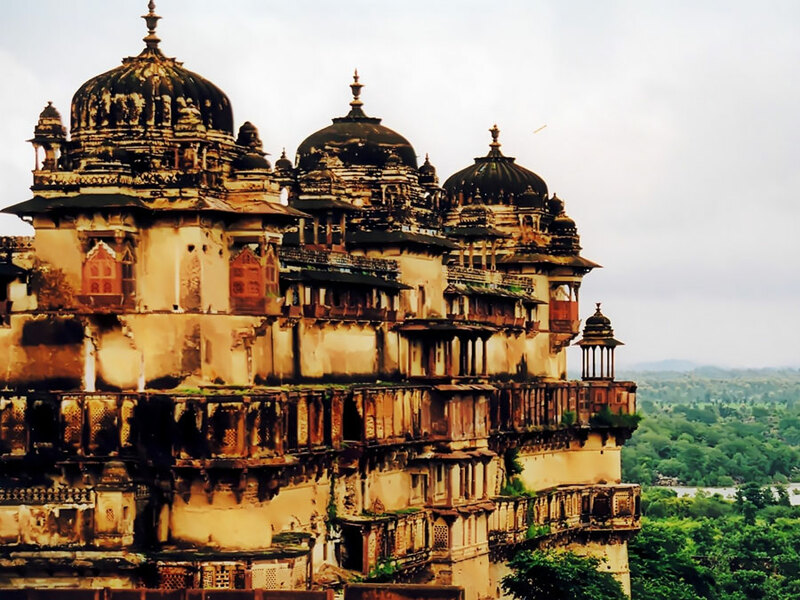 It was built in the year 1799 so that veiled royal women could peer down the busy street market unseen by the world through its 593 stone Jharokas (mini windows). Overnight stay at Jaipur hotel. After breakfast drive to Ranthambhore National Park, bounded to the north by Banas River & to the Chambal River in the south. It is named after historic Ranthambhore fortress, which lies within the park. 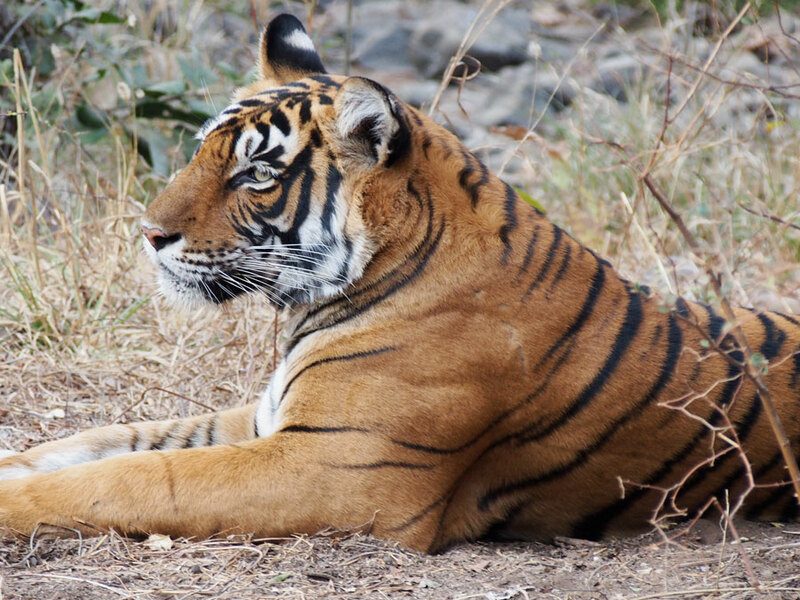 The Park was established as Sawai Madhopur Game Sanctuary in the year 1955 by the Indian Government & was declared as Project Tiger reserves in the year 1973. It became National Park in the year 1980 & later in the year 1991 the tiger reserve was enlarged to include Sawai Man Singh & Keladevi sanctuaries, total area 1334 km. It is famous for its tiger population. Other Major wild animals found in the national park include the tiger, leopard, nilgai, dhole, wild pig, sambar, chital & the gaur. It is also home to wide variety of trees, plants, birds & reptiles. In the Evening, we take a Jeep safari to try luck in spotting the Tigers. Overnight stay at Ranthambhore Wildlife Resort. Later we visit the Ranthambhore Fort, founded in the year 944 by the Chauhan Rajputs. After the defeat of the Chauhan king Prithviraj III by Muhammad of Ghori in the year 1192. It led by Govinda Raja, grandson of Prithviraj became the center of Chauhan resistance to the expanding Sultanate of Delhi. Later after many battles & rulers, it came in hands of Mughal Emperor Akbar in the year 1559. The fortress passed to the Kachhawa Maharajas of Jaipur in the 17th century & it remained part of Jaipur state until Indian Independence. The area surrounding the fortress became a hunting ground for the Maharajas of Jaipur. Overnight stay at Ranthabhore Wildlife Resort. After morning safari, we drive down to Bharatpur, founded by Maharaja Suraj Mal in the year 1733. It was once an impregnable, well-fortified city, & the capital of a kingdom ruled by Jat maharajas. The trio of Bharatpur, Deeg & Dholpur has played an important part in the Jat history of Rajasthan. Sanctuary was previously known as Bharatpur Bird Sanctuary & now known as Keoladeo National Park. The name Keoladeo is derived from the name of an ancient Hindu temple devoted to Lord Shiva in the sanctuary's central zone while the Hindi term 'Ghana' implies dense, thick areas of forest cover. This is a magnificent park having one of the World's greatest & most important heronries. It is situated at the confluence of Ghambhir & Banganga Rivers in Bharatpur district. Now a World Heritage site, this former duck-hunting reserve of the Maharajas is one of the major wintering areas for large numbers of aquatic birds from Afghanistan, Siberia & Turkmenistan. Some 364 species of birds, including the rare Siberian Crane, have been recorded in the park. Overnight stay at Bharatpur Wildlife Resort. Early morning we do birds viewing by cycle Rikshaw along with a naturalist. Later we drive to Agra, en route visiting Fatehpur Sikri (Ghost Capital), the political capital of India's Mughal Empire under Akbar's reign, from the year 1571 until 1585, when it was abandoned, ostensibly due to lack of water. We visit Emperor Akbar's Residential complex, Mosque & Tomb of Salim Chisti. Further we continue our drive to Agra, beautifully situated on the banks of river Yamuna. It achieved prominence as the capital of the Mughal Emperors from the year 1526 to 1628, remains major tourist destination because of its many splendid Mughal-era monuments, most notably the Taj Mahal, Agra Fort & Fatehpur Sikri, all three are UNESCO World Heritage sites. overnight stay at Agra hotel. Today we visit Taj Mahal (remains closed on Friday's), symbol of eternal love, which stands on the banks of River Yamuna. It was built by the 5th Mughal emperor, Shah Jehan in the year 1631 in memory of his wife, Mumtaz Mahal. It was completed in 22 years. Further we visit Agra Fort, taken over from the Lodhis by the Mughal Emperor Akbar in the late 16th century. The Fort can be more accurately described as a walled palatial city. It was built from red sandstone, often inlaid with white marble & intricate decorations. Afternoon we take an overnight train to Umaria. Morning, we arrive in Umaria and drive to Bandhavgarh National Park, located in Umaria district of Madhya Pradesh, India. It was declared a National Park in the year 1968. It's a small National Park, compact, yet full of game. 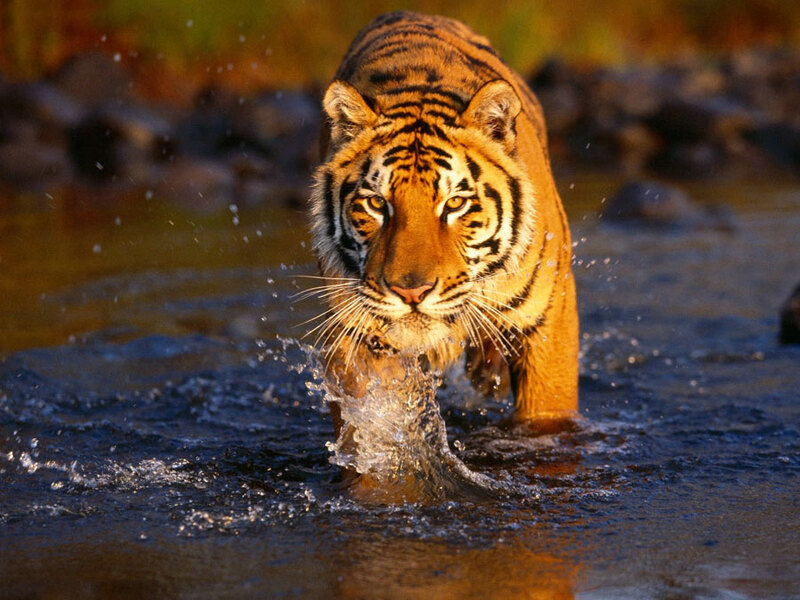 The density of the tiger population here is the highest known in India. This is also white tiger country. These have been found in the old state of Rewa for many years, the last known captured was in the year 1951. Later in the afternoon we take a Jeep safari. Overnight stay at Bandhvgarh Wildlife Resort. 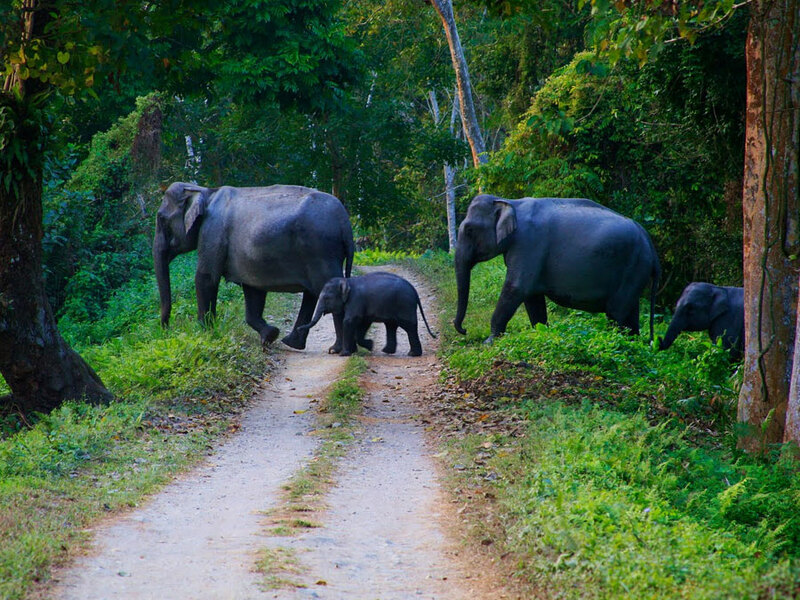 Today morning we take an Elephant Safari in the Jungle, a most memorable experience. Also enjoy a good wild photography in the jungle from an elephant's back. Later visit the Bandhavgarh Fort & Caves. Also take a Jeep Safari in the afternoon. Overnight stay at Bandhvgarh Wildlife Resort. Today we take morning and afternoon Jungle Safaris and join the activities at the resort. After breakfast drive to Kanha National Park , part of Project Tiger, located in Madhya Pradesh. In the 1930s, the Kanha area was divided into two sanctuaries, Hallon & Banjar. It was created in the year 1955. The lowland forest is a mixture of sal & other trees, interspersed with meadows. The highland forests are of a completely different nature. A very good looking Indian ghost tree can also be seen in the dense. 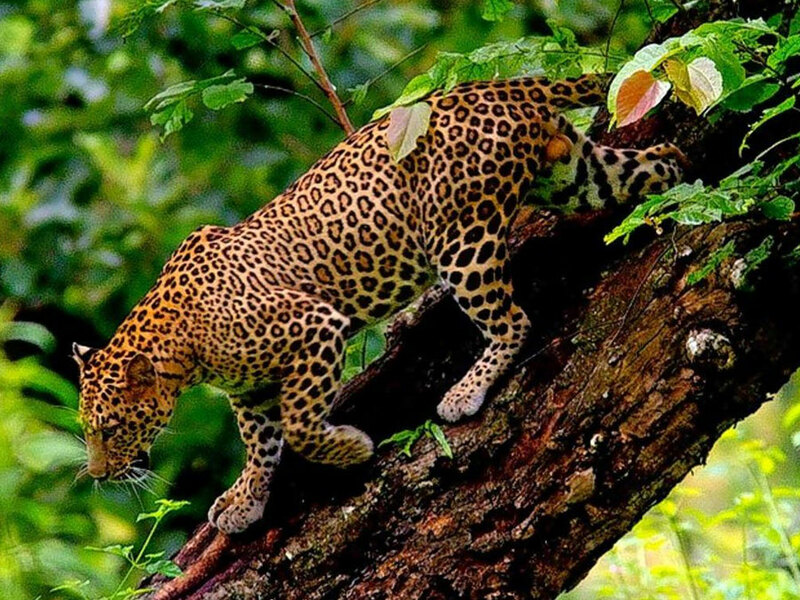 Kanha is home to about 22 species of mammals & about 300 species of birds. Commonly observed mammals include the Common Grey Langur, Wild Boar, Chital, Chowsingha, Sambar & Barasingha or Swamp deer (this is the hard ground swamp deer, found only in Kanha). One can also find leopards, the Sloth bear & Indian wild dog. Very rarely seen are the Indian wolves which live in the far east of the park. It comes out after dark which is not a visiting hour. The Nilgai (blue bull), though rare, can also be found in Kanha. Overnight stay at Kanha Wildlife Resort. Today you will go for Morning and Afternoon Jungle Safaris and join the activities at the resort. Overnight stay at Kanha Wildlife Resort. Take a morning game safari and drive down to Nagpur to board flight for Mumbai. Mumbai is an archipelago of seven islands. Artifacts found that these islands had been inhabited since the Stone Age & documented evidence of human habitation dates back to 250 BC. In the 3rd century BC, the islands formed part of the Maurya Empire. In 1534, Portuguese appropriated islands from king of Gujarat later ceded to Charles II of England in 1661, as dowry for Catherine de Braganza. These islands were in turn leased to the British East India Company in 1668. Overnight stay at Mumbai hotel. First we visit Gateway of India. It was built to commemorate the visit of King George V in 1911. Later we enjoy an hour's boat ride to the tranquil forested island of Elephanta, one of the most atmospheric places in Bombay. The chief attraction of the island is its unique cave temple whose Shiva sculpture is a fine example of Hindu architecture. In the afternoon visit Jehangir Art Gallery and the Prince of Wales Museum, Victoria Terminus, Hanging Gardens, Jain Temple and Mani Bhavan – Gandhi's Bombay base between 1917 & 1934, this house is now a permanent memorial to the Mahatma. Overnight stay at Mumbai hotel.